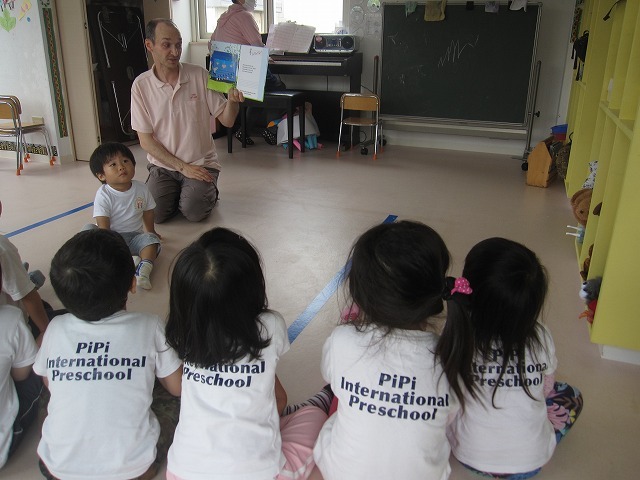 Today was a super fun day at PiPi International Preschool. We started the day by looking for ghosts with our telescopes. Fortunately, we didn't find any ghosts at PiPi. We had some fun singing a silly song! We had an assistant teacher help us with flashcards today. 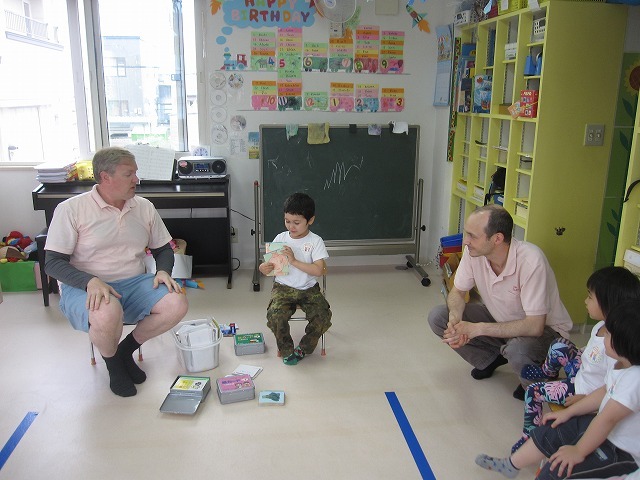 He showed us cards with body parts. 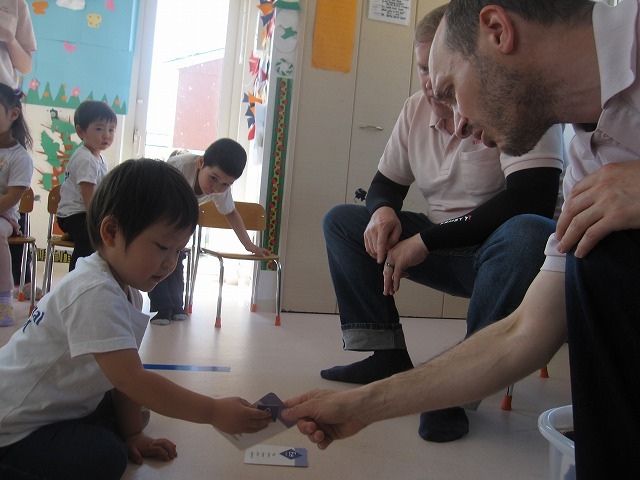 All the kids touched the part of the body showed on each card. We had more fun with flashcards. 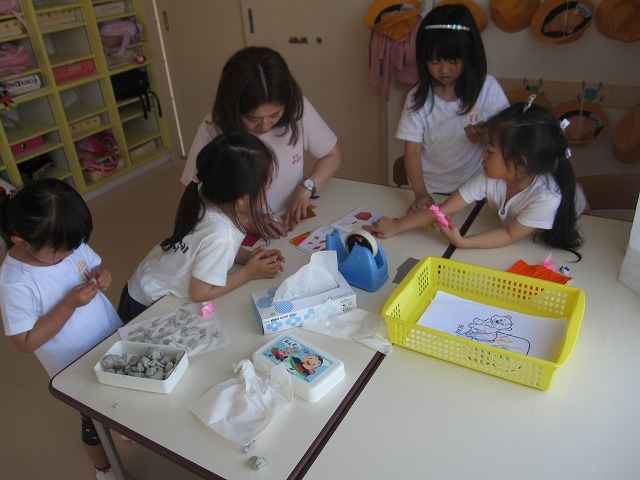 All of the kids were involved, and everyone had a turn for individual learning. 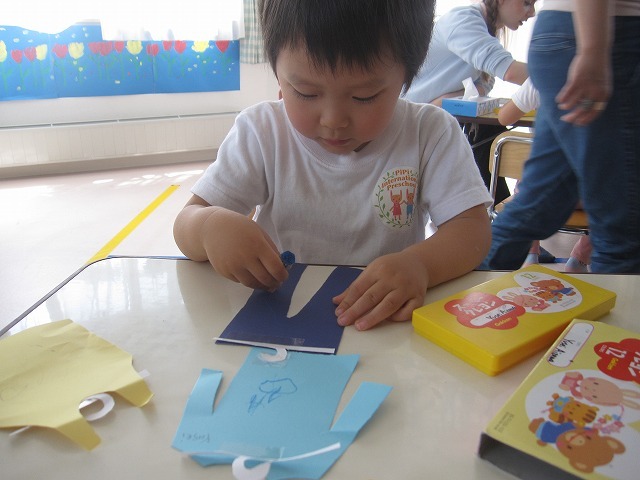 We read a story about sea creatures, and made a starfish craft. 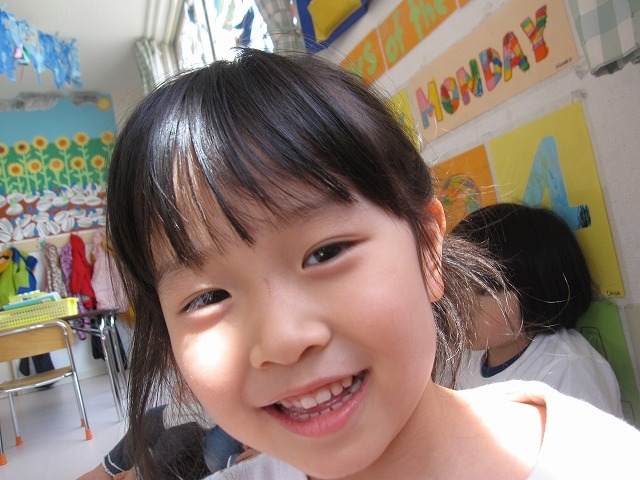 The kids ate lunch, did their workbooks, and enjoyed some free time. 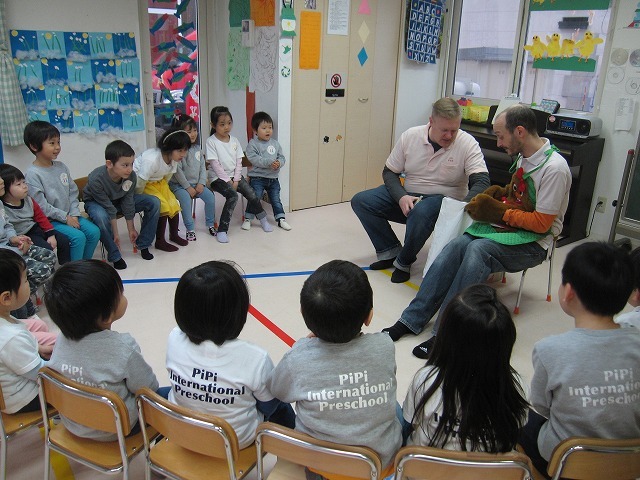 We had a fun time at PiPi International School today. We started the day with a physical morning circle. 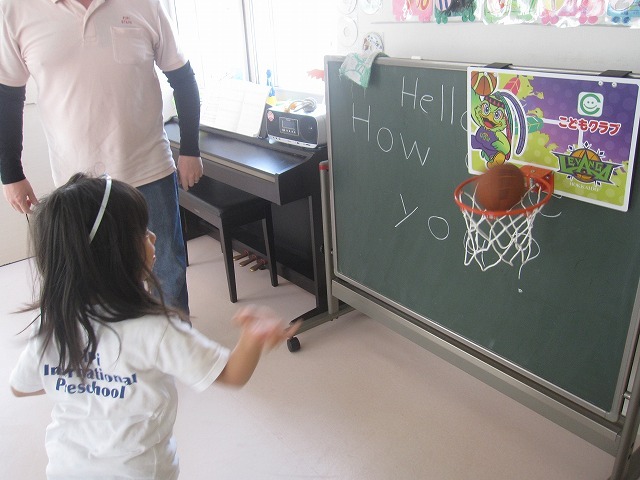 We used a mini basketball to sharpen the kids' motor skills. 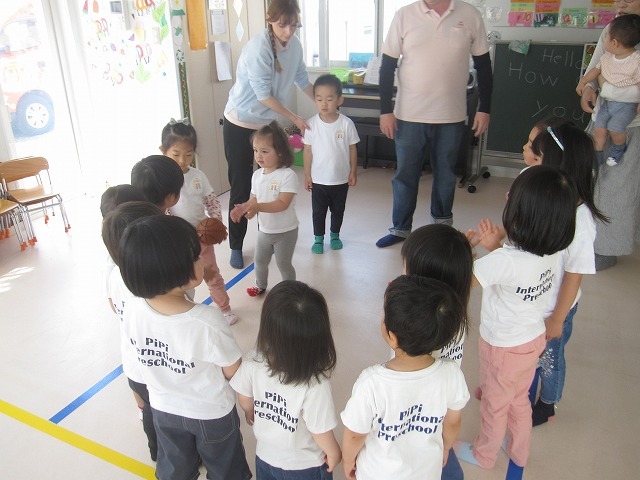 We passed the ball in a circle from student to student. At the end of the line, the student threw the ball in the hoop. We repeated this until all students had the chance to make a basket. 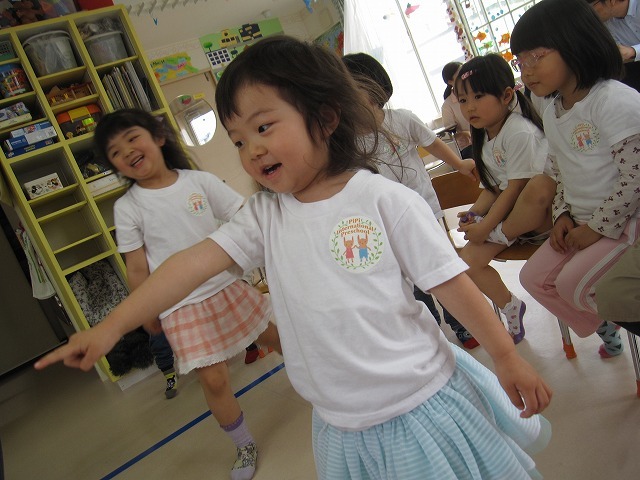 We continued the lesson with a wild dance session, then reviewed our flashcards. The children did quite well when we practiced phonics. 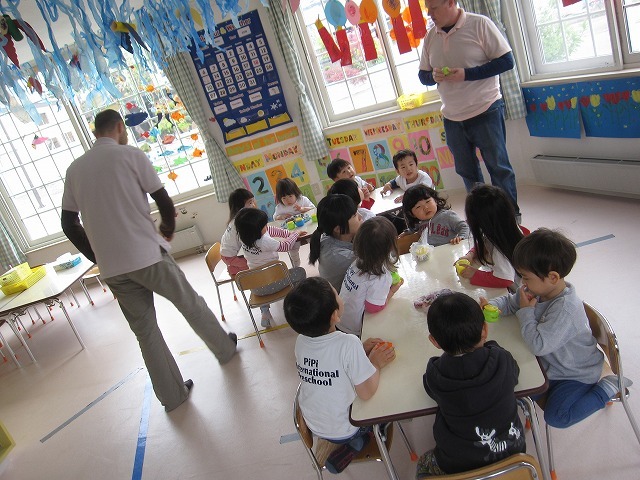 Every student had multiple chances at individual participation. 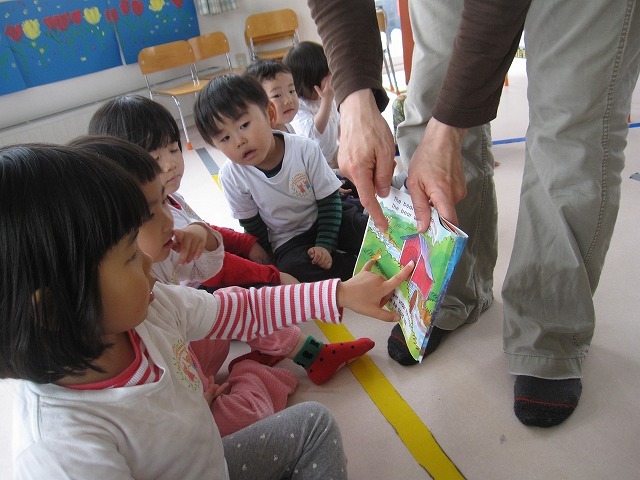 After the break, we read a story about a frog getting dressed. We reviewed many types of clothes. For today's craft we decorated a pair of pants and a shirt. We put them on a hanger and hung them up on a clothesline. After lunch, we practiced our monkey bars and started a good workbook session. 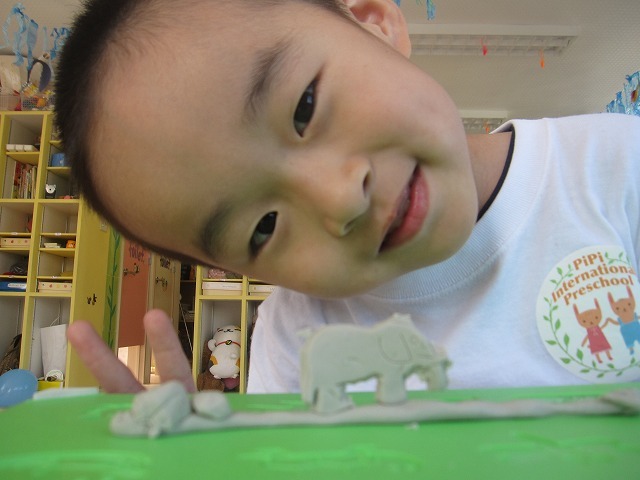 The kids had fun with origami paper, trains, magnets, chalk and clay. 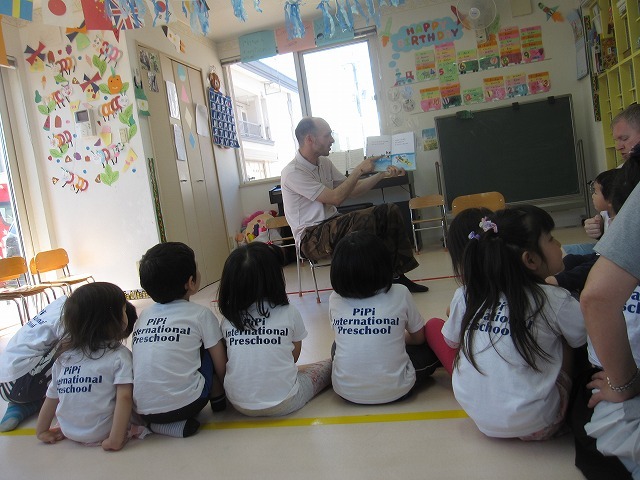 We had a busy day at PiPi International School. 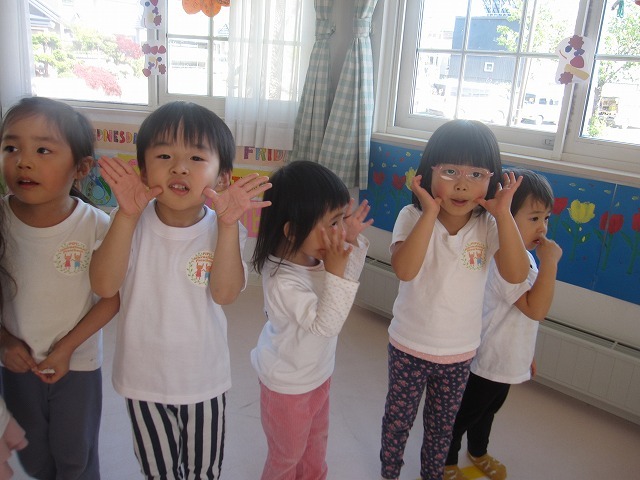 We started the day with a silly introduction. All of the kids said "Hello" in a funny voice. 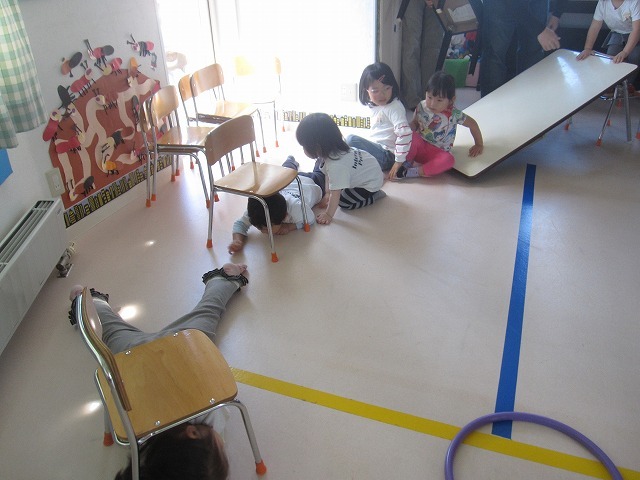 The kids all had a chance to go through an obstacle course. 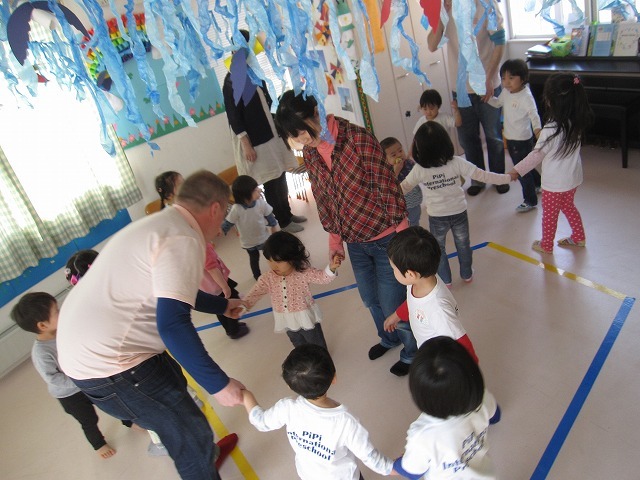 We followed the obstacle course with a little dancing. 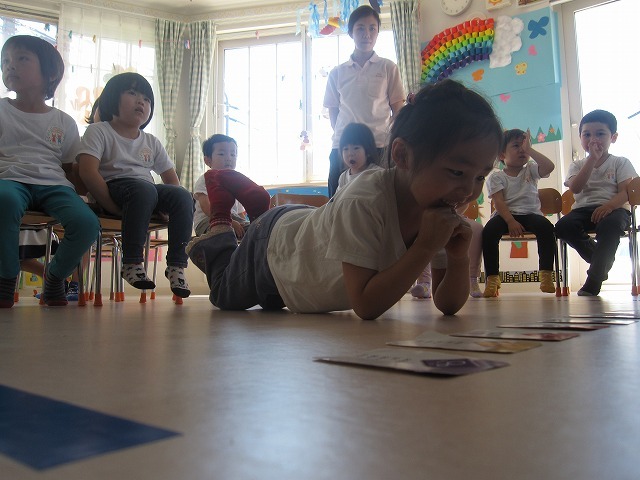 After the dance, we had a stimulated flashcard session. We had a string, and the kids were able to add a bead if they got a correct answer. At the end of the session, we had a necklace that everyone was able to try on. 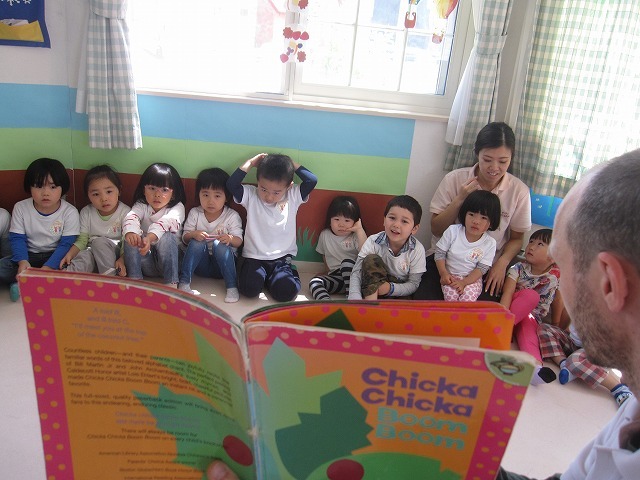 After break, we read a book and worked on our alphabet skills. 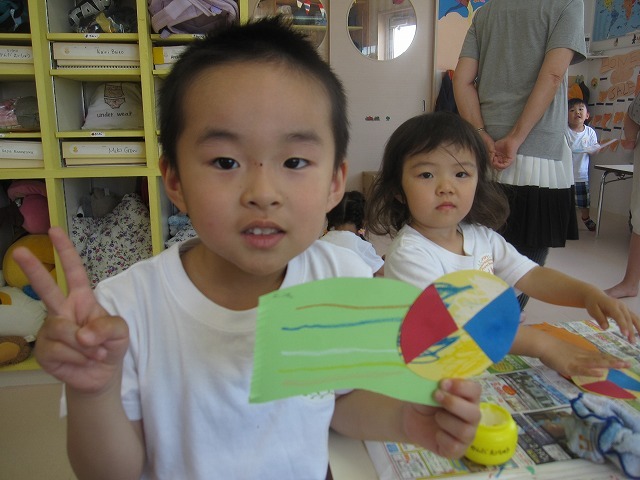 The children made faces during craft time. 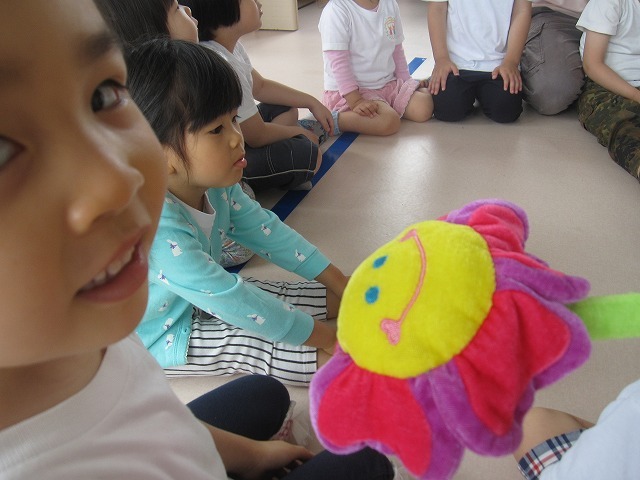 We talked about the different parts of the face; such as the eyes, ears, mouth, nose, eyebrows, and hair. The kids used glue and crayon. We practiced our monthly song, 'Row, Row, Row Your Boat.'. 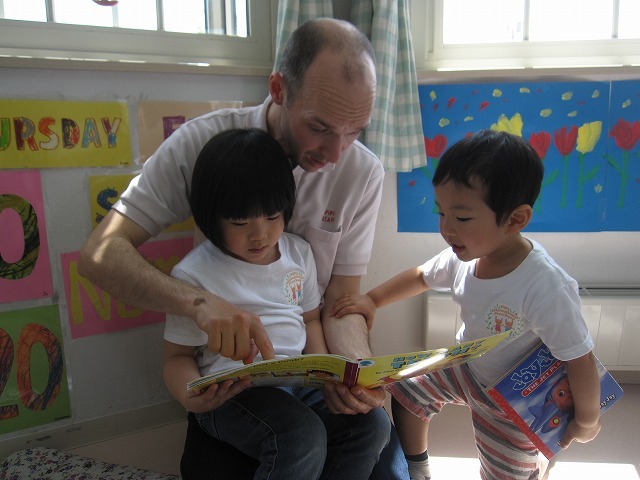 After lunch, we had a stimulated workbook session. 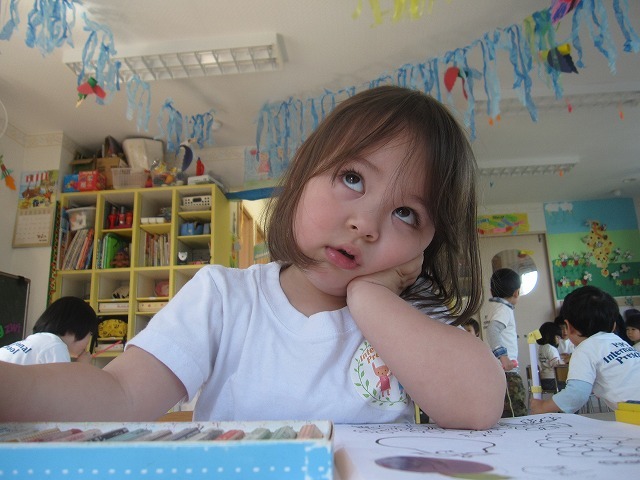 Apparently, not everyone enjoyed their workbook time! 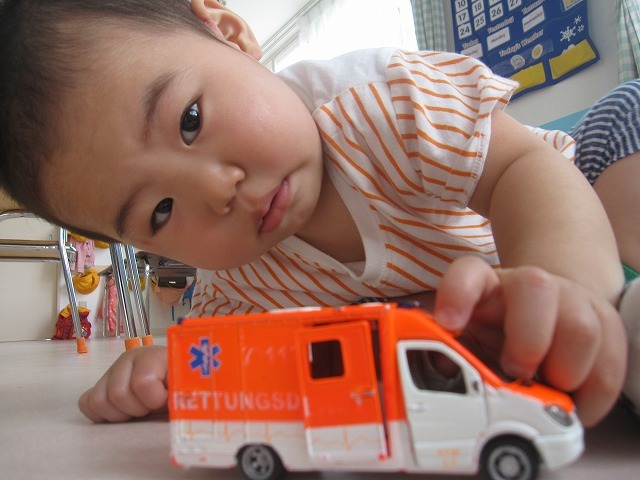 During freetime, the kids enjoyed clay, big blocks, balloons, magnetic letters, and various other toys. Today was a busy day, but also a fun day! We started out the day by reviewing the days and months of the year. We also determined that today is June 1st. 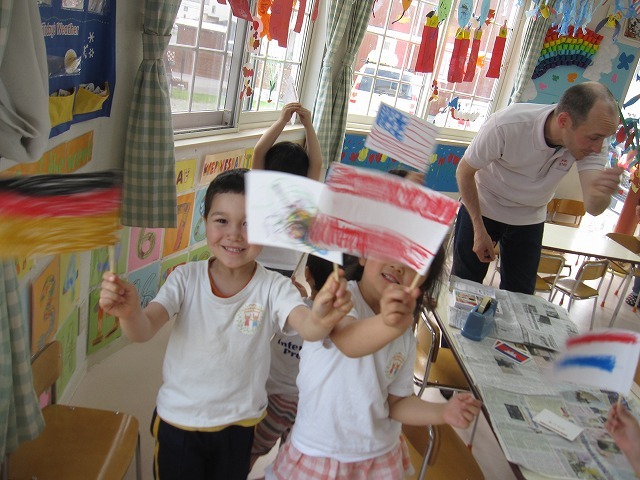 We also talked about the fact that it is International Kids day today. The kids had fun finding and identifying letters of the alphabet after I "dropped" a bucket of magnetic letters on the floor. 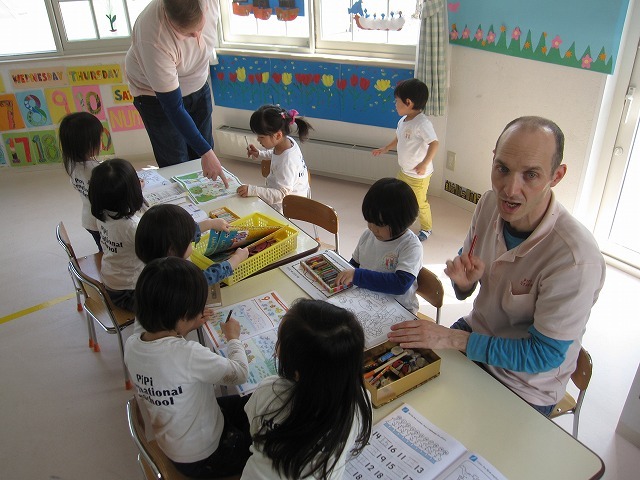 The children named each letter, and helped put the letters away. We had a fun dance session, and went right into flashcard review time. 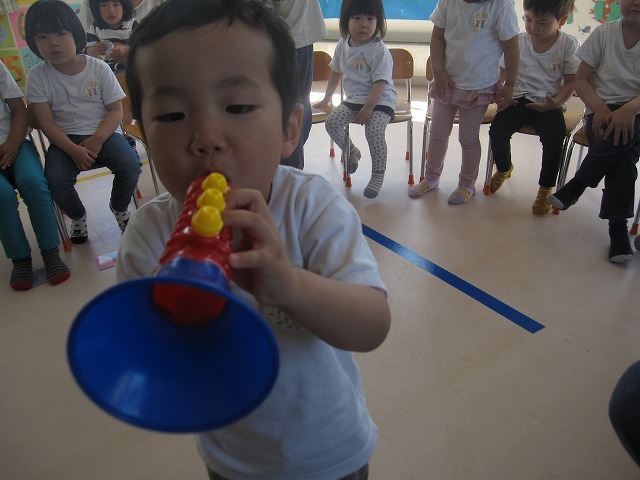 The children identified some common musical instruments that were between the teachers during the flashcard review. 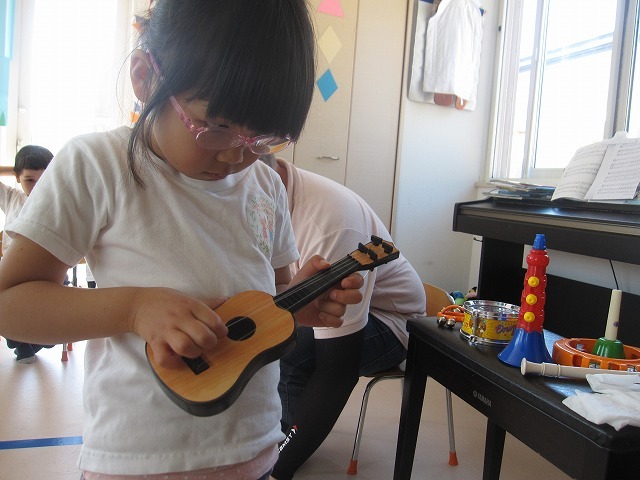 We quizzed the children on the flashcards, and they were able to play an instrument if they gave an answer. 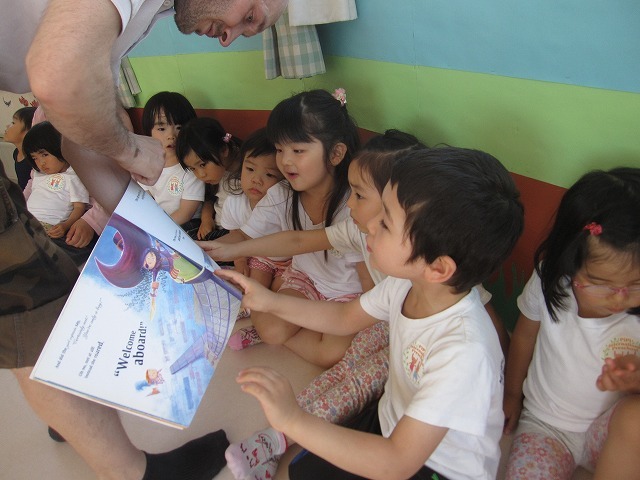 We read a story about an owl who fell out of his nest. A friendly squirrel helped him find his mother. We made a squirrel for today's craft. After lunch, we had a good workbook session and some creative free time. 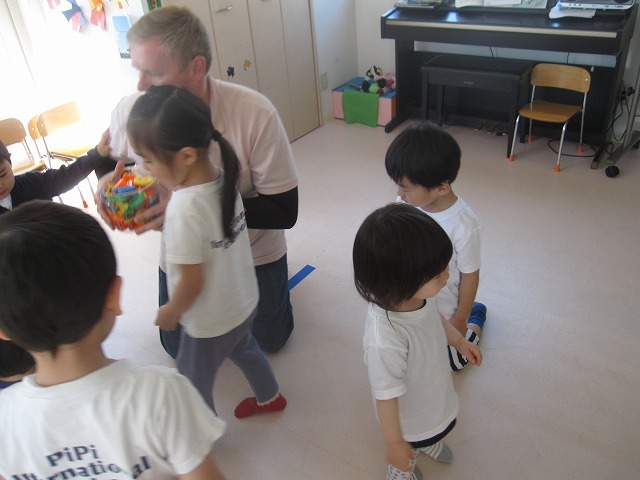 The children enjoyed playing with various toys. 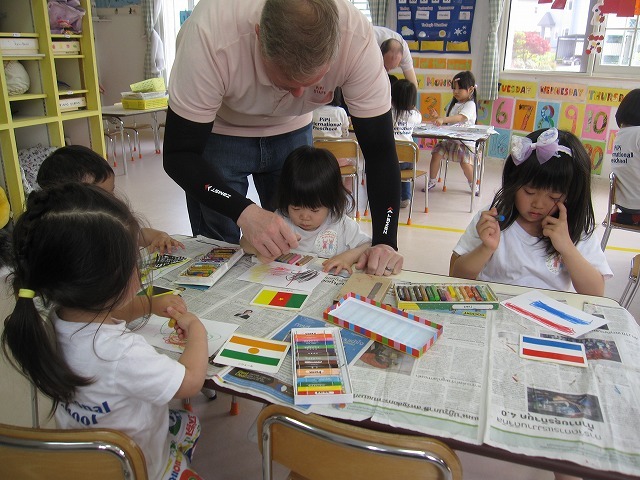 The most popular todat were big blocks and clay. 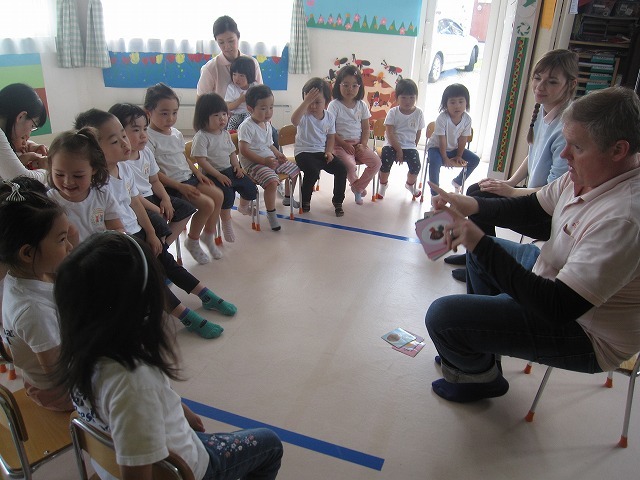 We finished the day with another story and some songs. 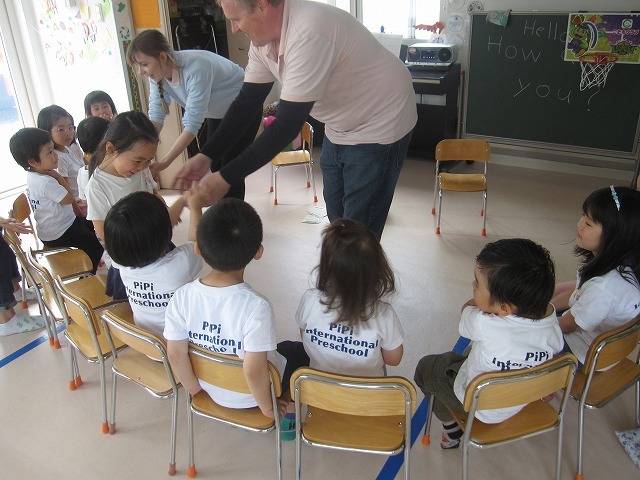 Today was an excellent day at PiPi International School. We started out the day strong with the morning circle. 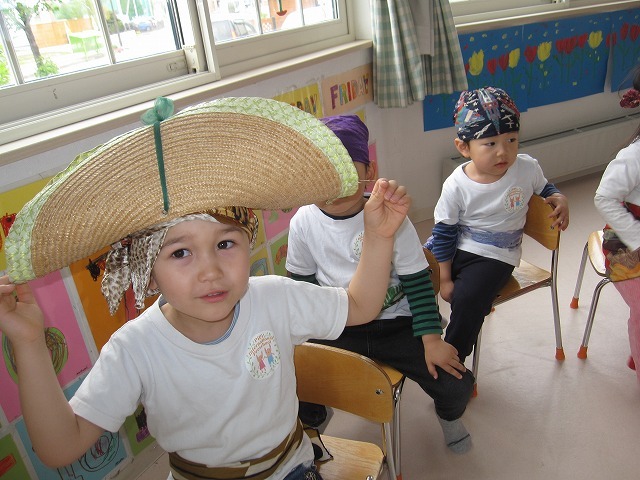 The kids dressed up like their favorite pirate. 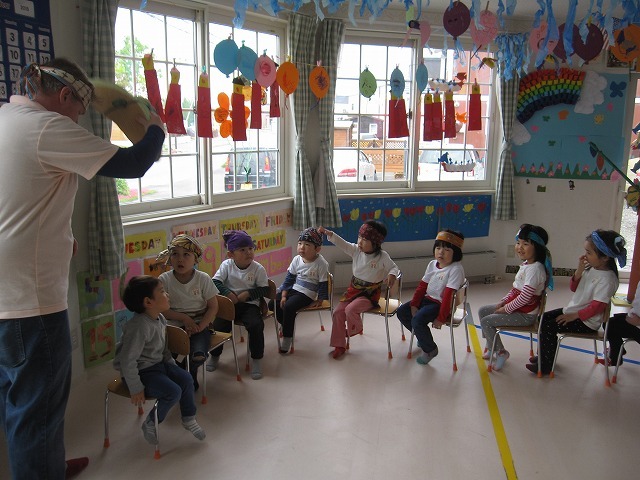 The children pretended that they were on their pirate ship by placing their chairs in a row. 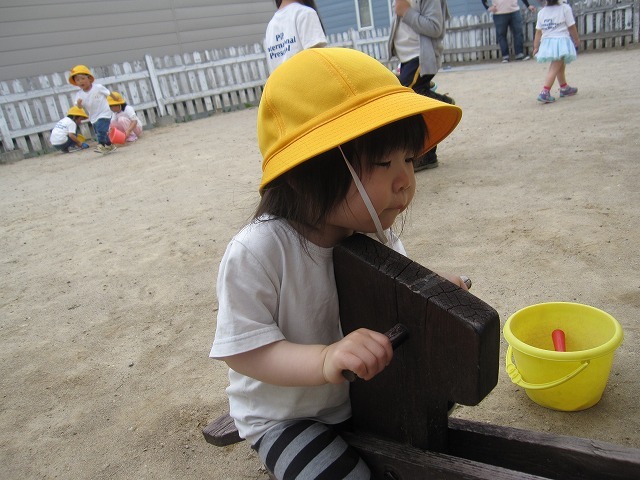 The kid in the first seat was able to wear the captain's hat. We sailed our ship by having the last chair move to the front of the line. We moved around the room until we ssailed back to the pirate hideout. We encountered parrots and sharks during our time at sea. 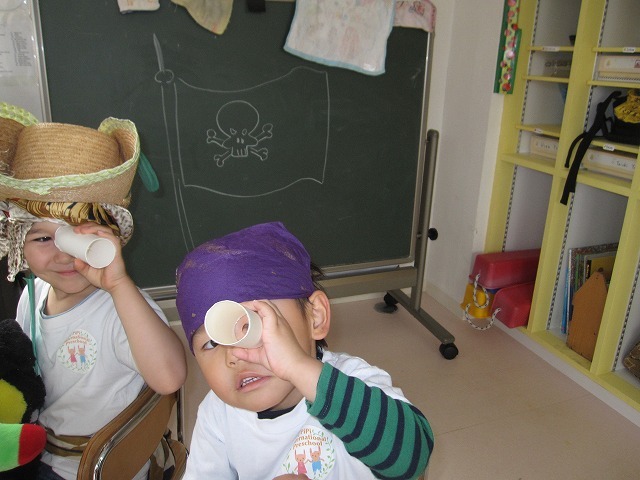 At the end of our voyage, the kids looked for land with their telescopes. 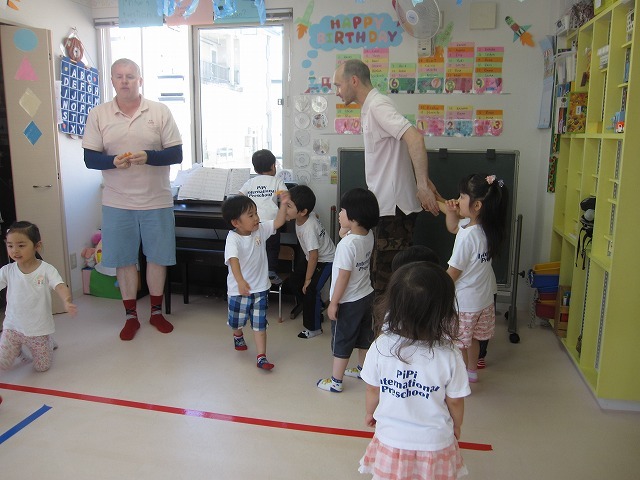 We enjoyed some dancing and had a good flashcard session. After the break, we read two stories about bears. The first story included the song 'The Bear Goes Over The Mountain'. 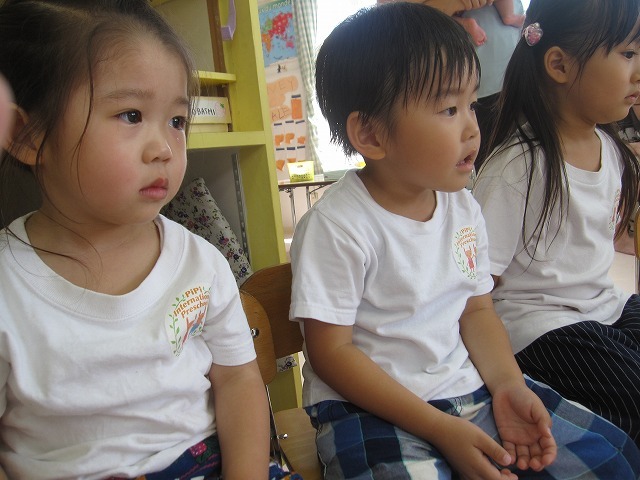 The second story talked about how bears hibernate during the winter. We then made bears for today's craft. 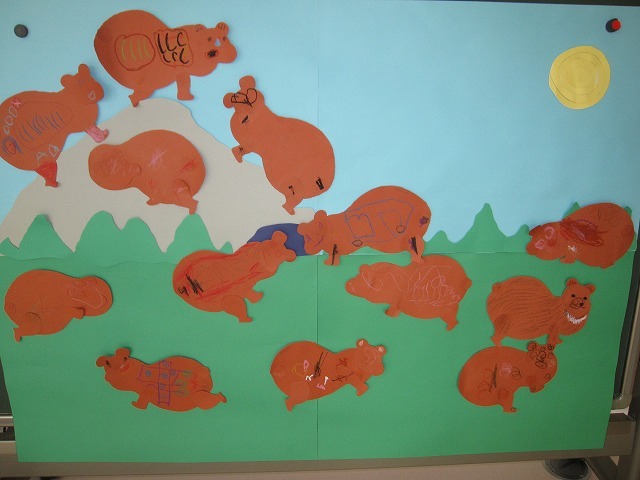 When we were finished, the kids each placed the bears on the background. We enjoyed a satisfying lunch, then tackled our workbooks. 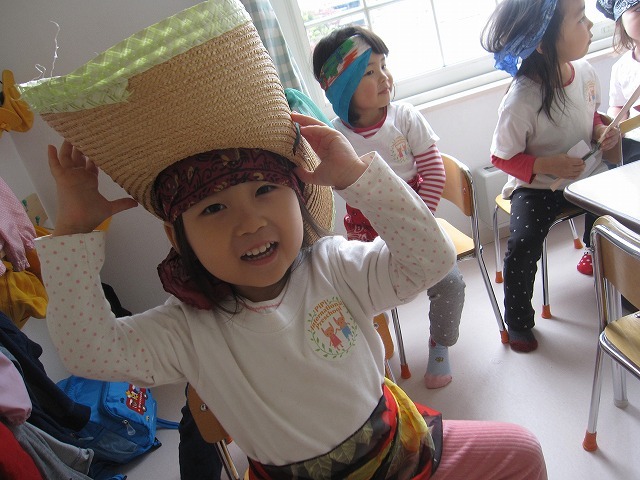 The children had a little bit more time to play dress-up. 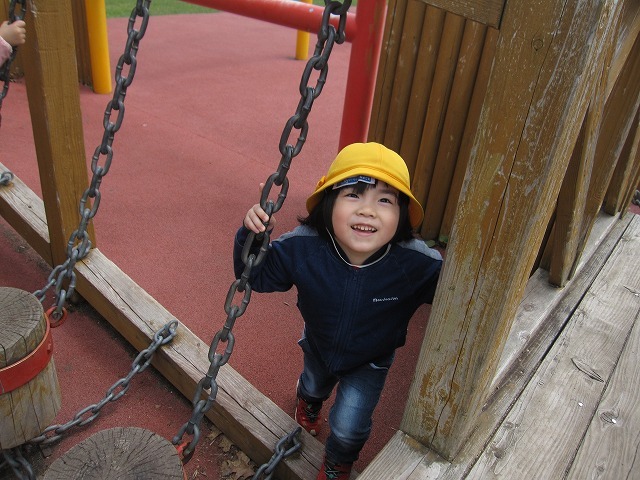 We went outside and played in PiPi's backyard. 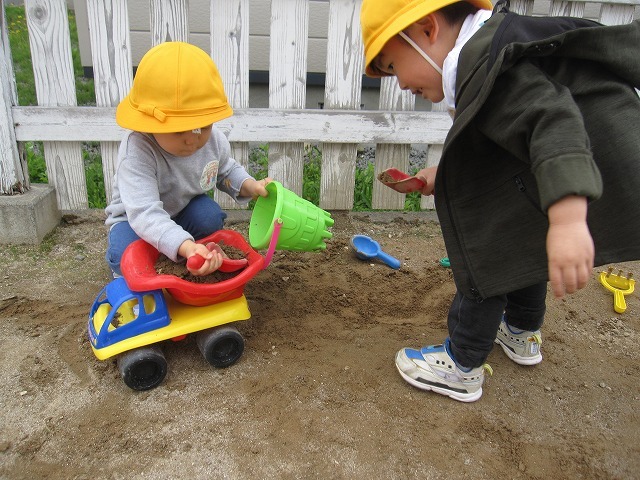 The children enjoyed digging and playing soccer. 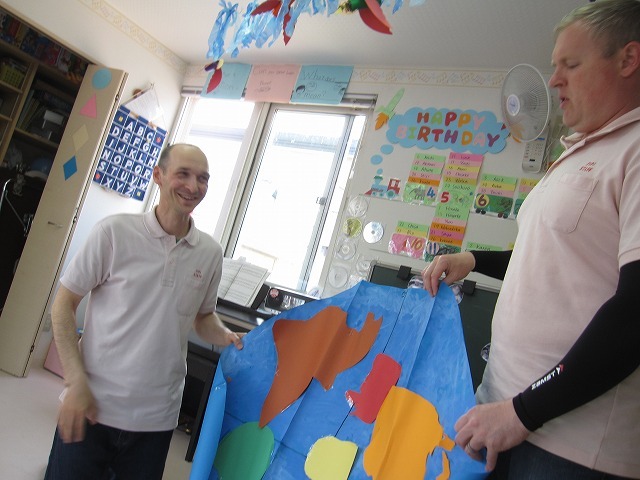 We had a fun day at PiPi International School. Today was a great day to go outside. 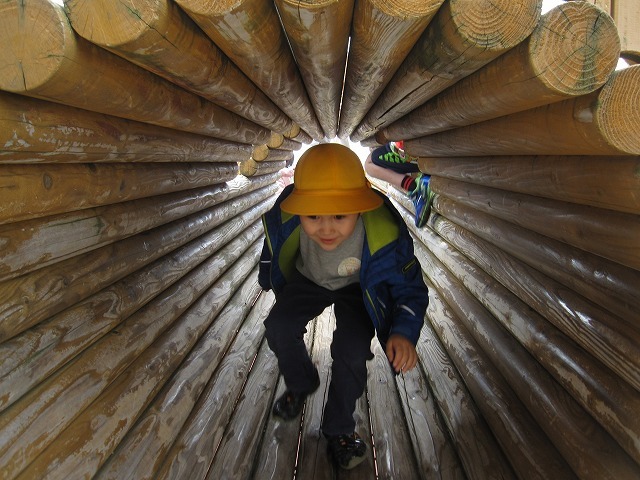 The rain stayed away long enough for us to make a trip to Kamui No Mori Park. We started the day with a quick morning circle. 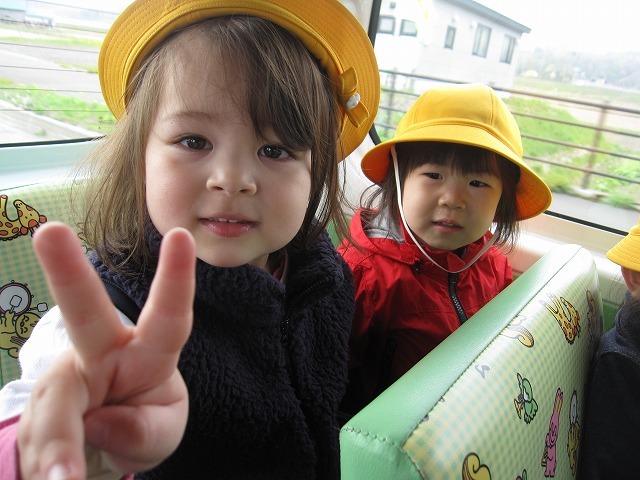 We made sure that everyone was ready, then we got on the PiPi Bus and headed toward the park. 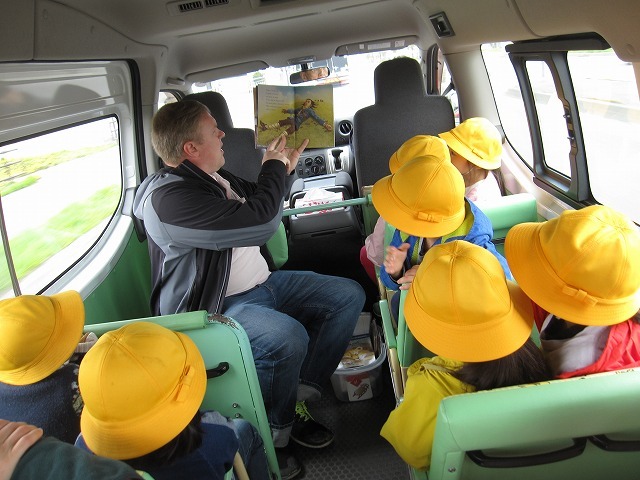 The children enjoyed a story about the famous Gulliver and his travel to Lilliput. 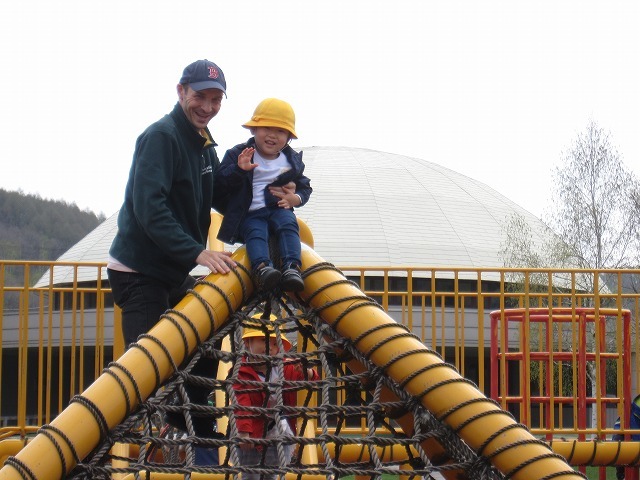 Being that the weather was nice, we played at the outdoor playground today. I was very impressed with the climbing ability of the students. 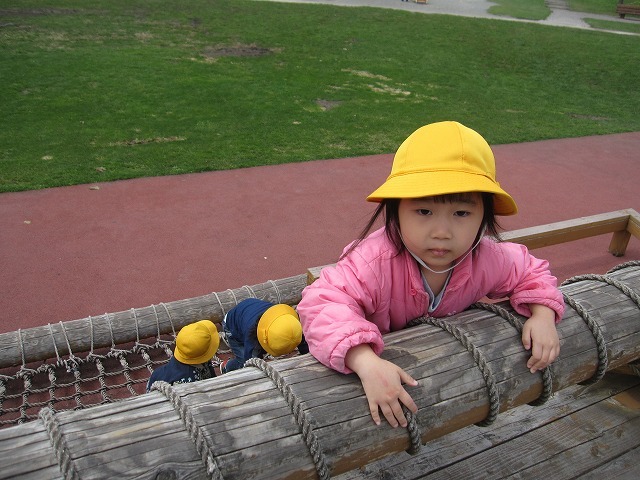 The children fully explored the outdoor playground. They even had some fun playing in the field and finding pinecones. 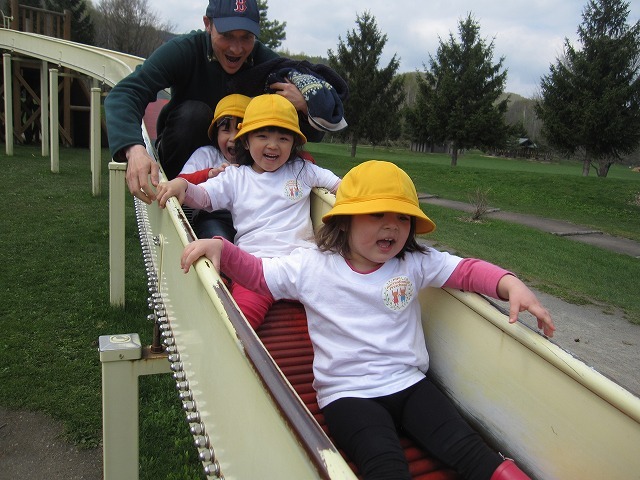 We ended our excusion on the big roller slide. 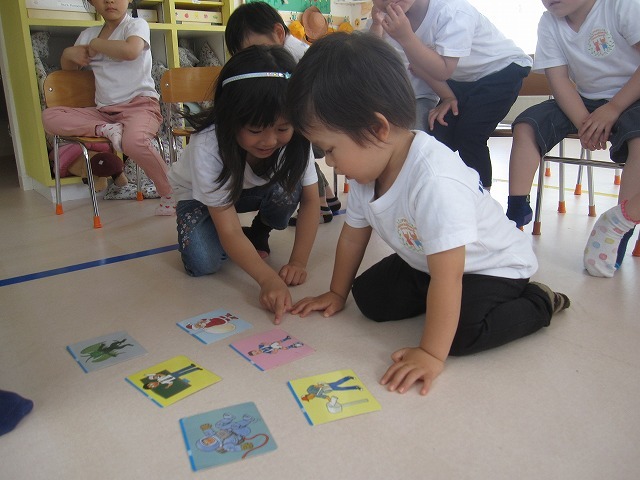 The children had a flashcard session on the way back from the park. 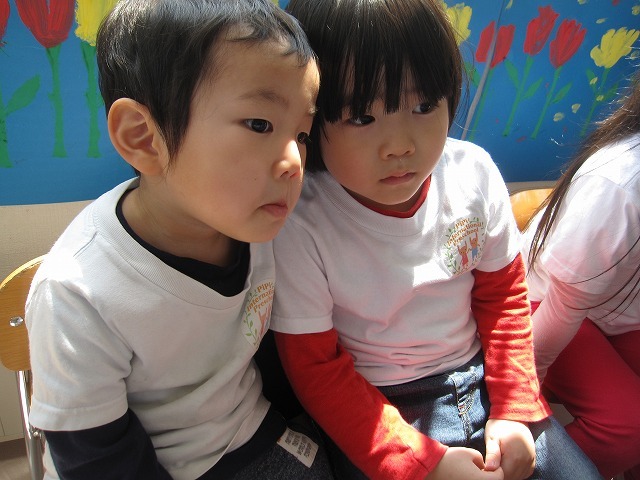 We enjoyed our monthly book, and then went to lunch. 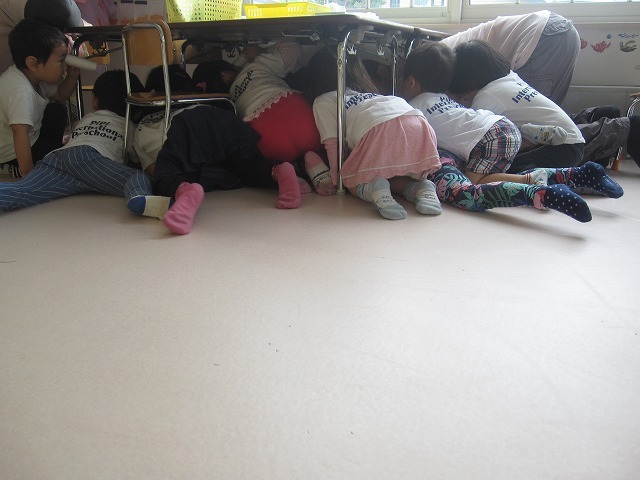 All of the children were tired after lunch. 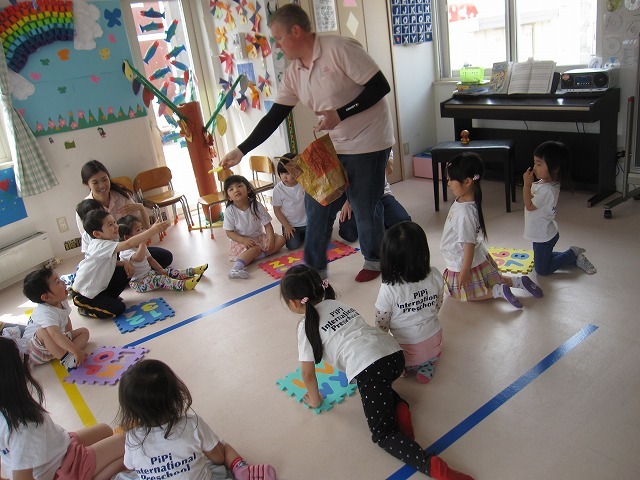 We enjoyed our usual workbook time and explored PiPi's games, toys, books and puzzles. 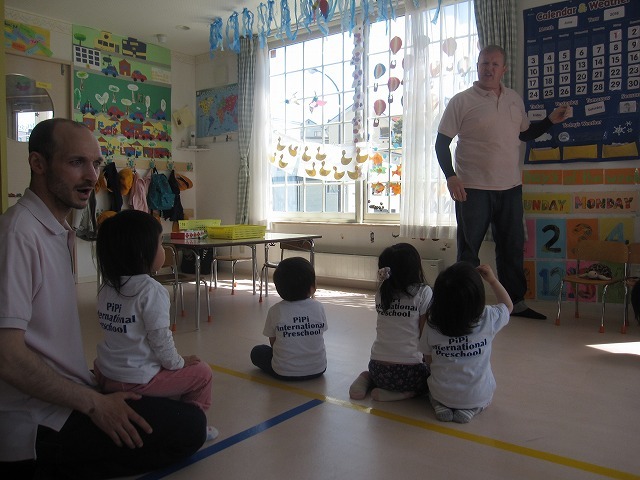 Today was perfect weather to spend a day at PiPi International School. 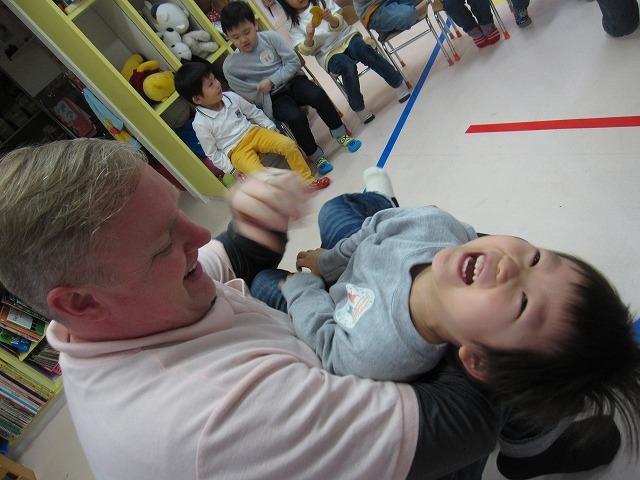 The children were exceptionally energetic today. 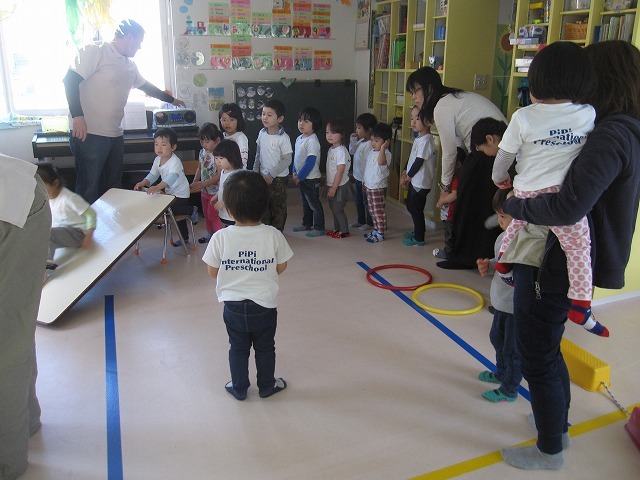 We had the kids burn off a little energy by conducting a teamwork activity. 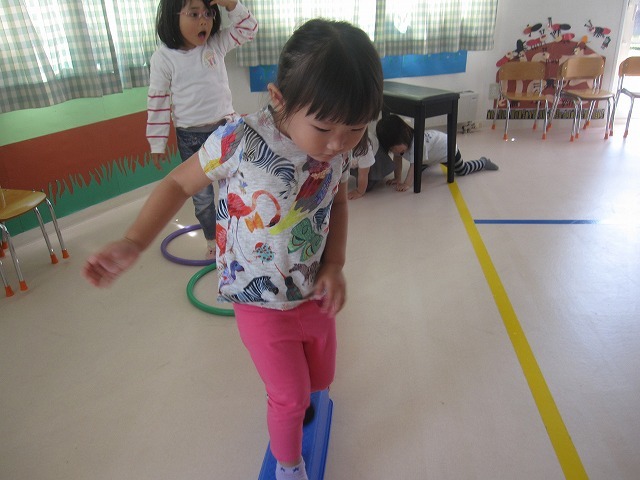 The children had to work in groups to get a hula-hoop over a smal obstacle course. They had to use balance and help one another in order to succeed. After the morning circle we had a fast paced song and dance session. 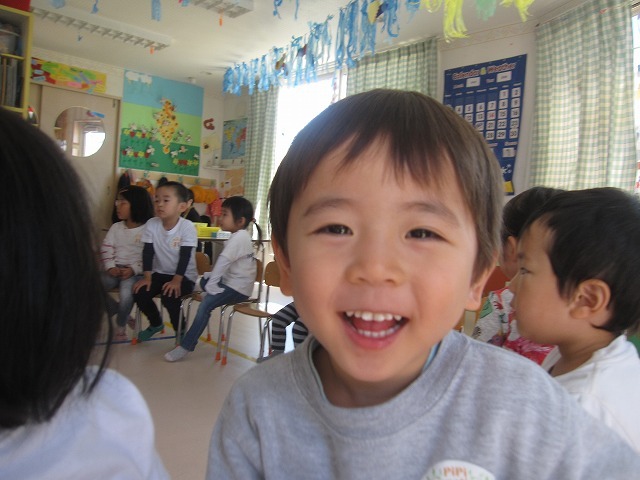 The kids worked on phonics and reviewed flash cards. They even got to throw a stuffed toy at a target on the chalkboard. 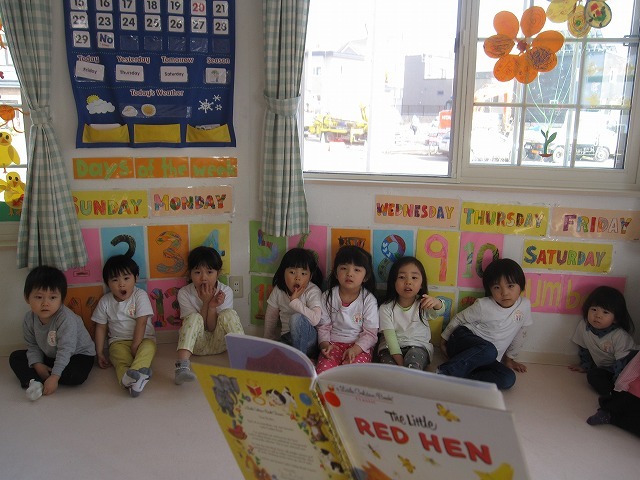 We continued our focus on Spring by reading a book about a bird and eggs. A fox tries to steal the eggs, but fails in the attempt. 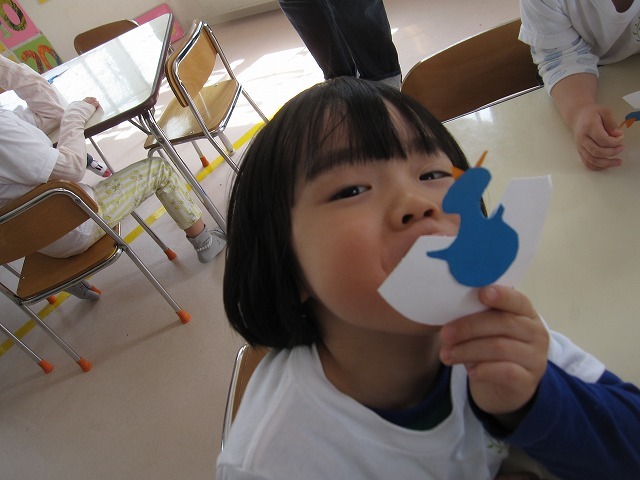 Today's craft was a bird hatching from an egg. 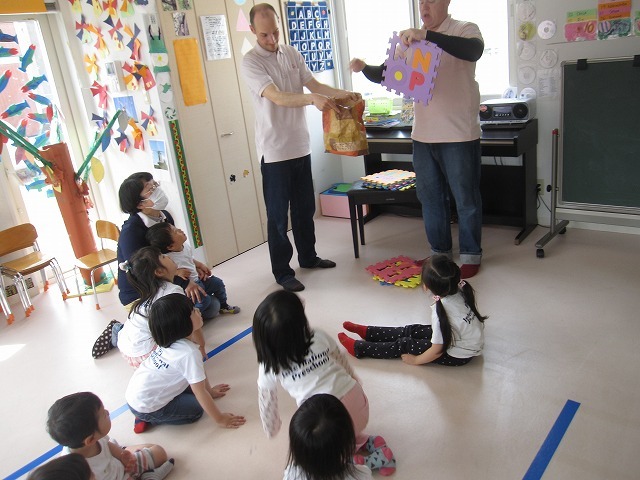 After we finished the craft, we put the eggs in a nest so the mother bird can feed the babies. 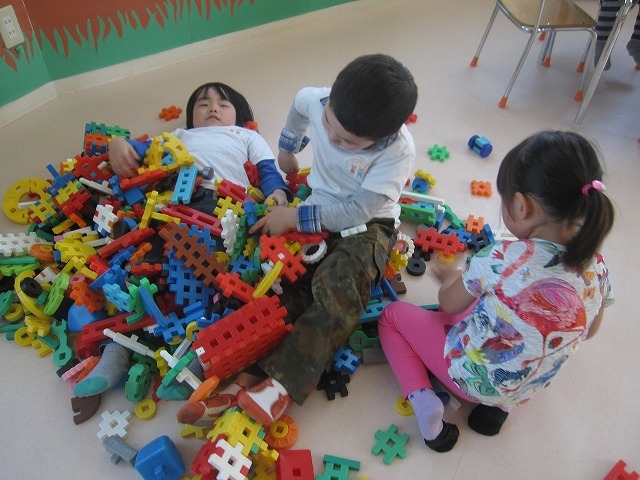 After lunch, we finished our workbooks and enjoyed some free play. 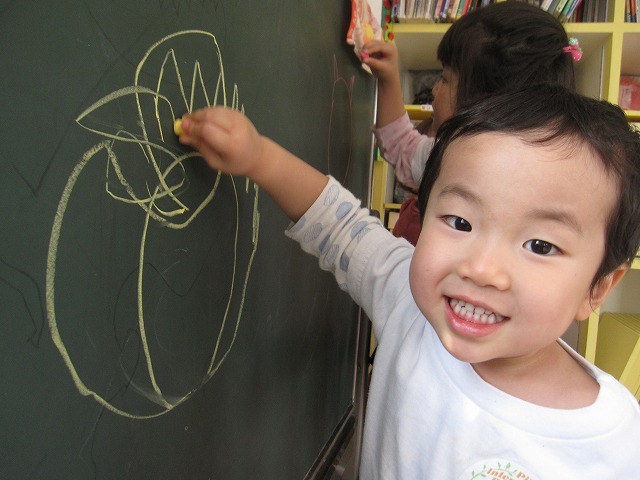 The children played with the big blocks, clay, and drew pictures on the chalkboard. We finished the day with another book. This time a hen grew wheat from a seed, turned the wheat into flour, and baked bread to share. 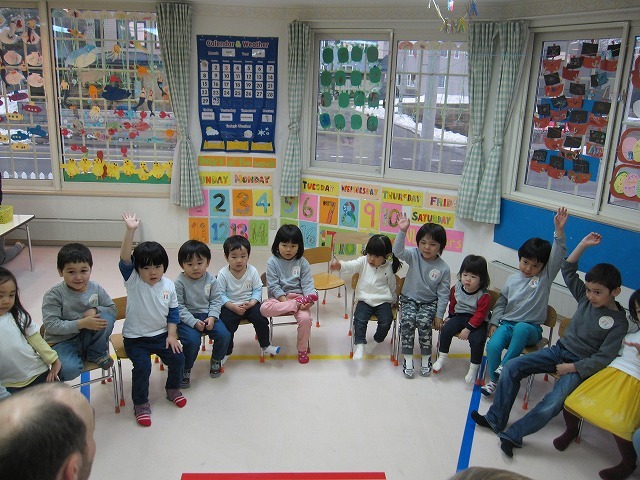 Today was dark and rainy outside, but bright and sunny inside of PiPi International School. We started today's lesson by talking about the weather. This month's theme is weather, and Spring usually provides many opportunities to showcase different weather types. Today's specific theme was wind. 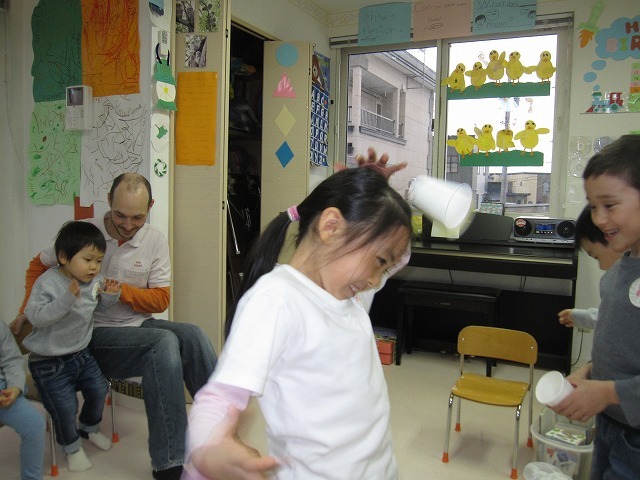 We had the children move some cotton balls with wind. The children had fun trying to get the cotton across the finish line. 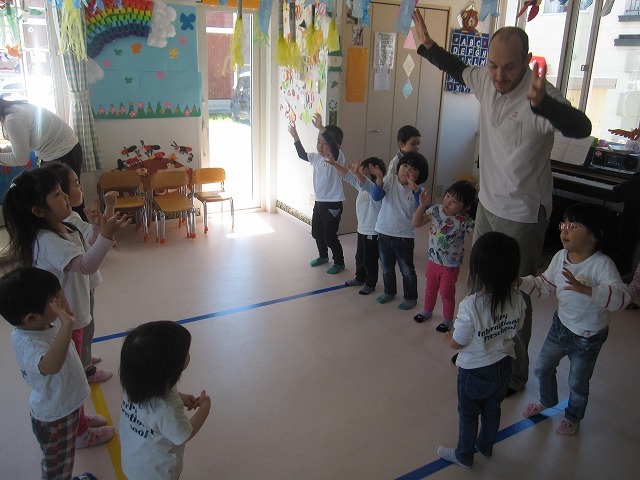 After the morning circle, we had an exciting dance sesson. The below picture may look like we are resting, but we are actually walking like a snake on the ground! We had an eventful flashcard time. 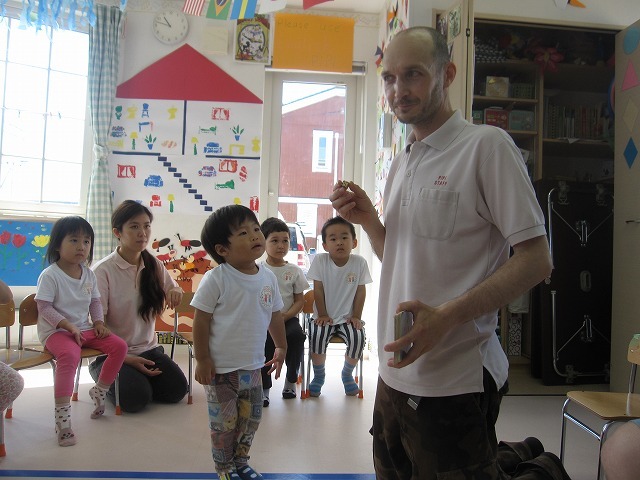 We had the children identify opposites, and even had a visit from a hungry bear. 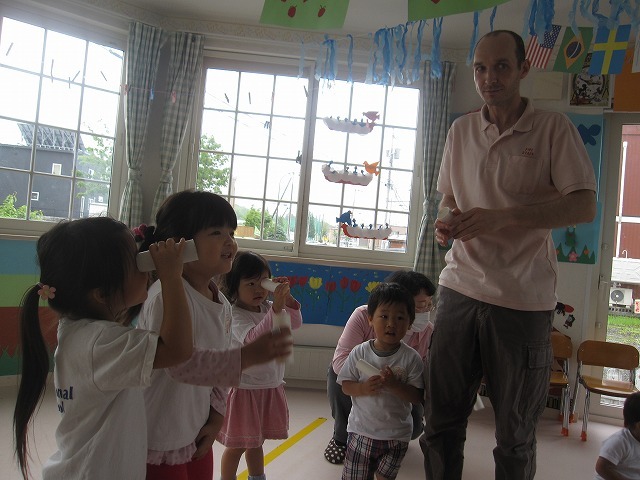 The children had to pick and identify a vegetable and fruit. 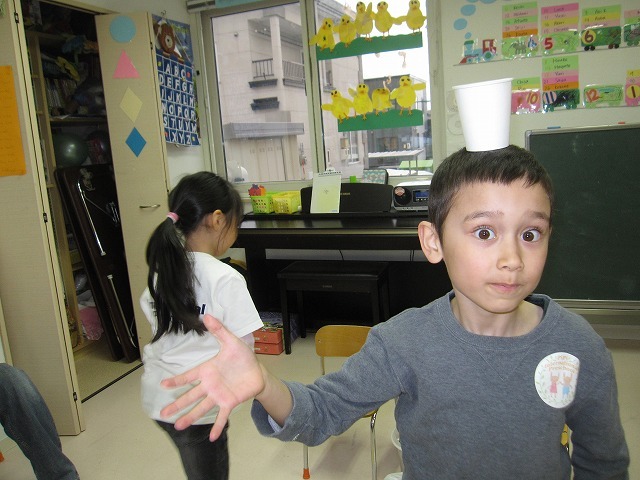 We illustrated the difference between easy and difficult by having a couple of visiting older students demonstrate their cup balancings skills. They had two tasks, one being easy, and the other difficult. 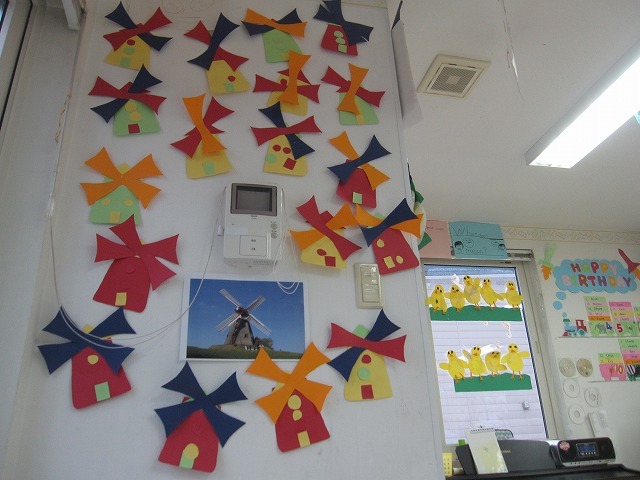 We continued our theme of wind by having the children each make a windmill for today's craft. 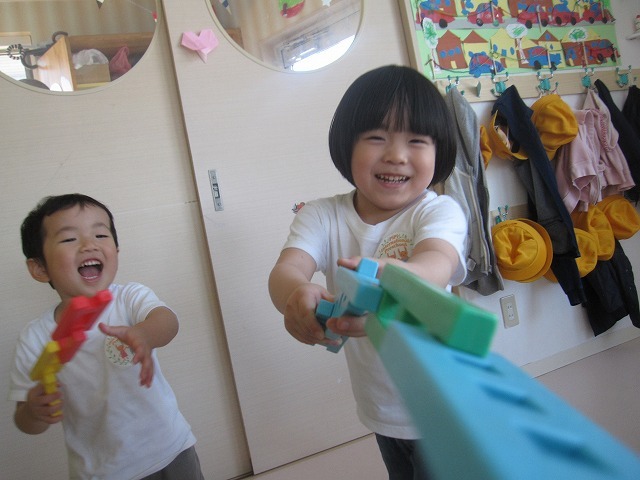 We had lunch as usual and finished the day with workbooks and freeplay. 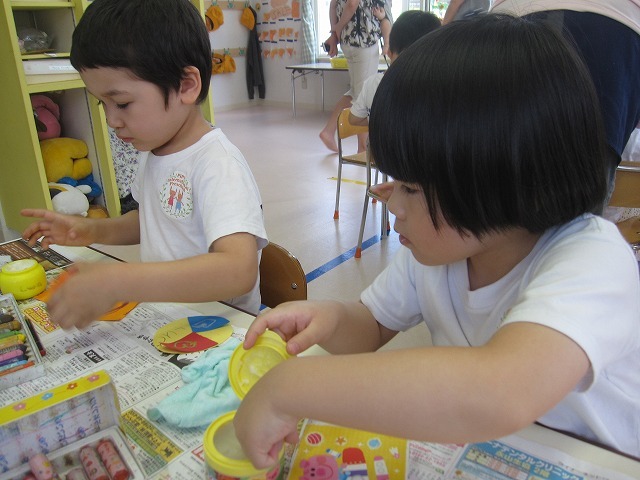 The kids were very interested in books and clay today.